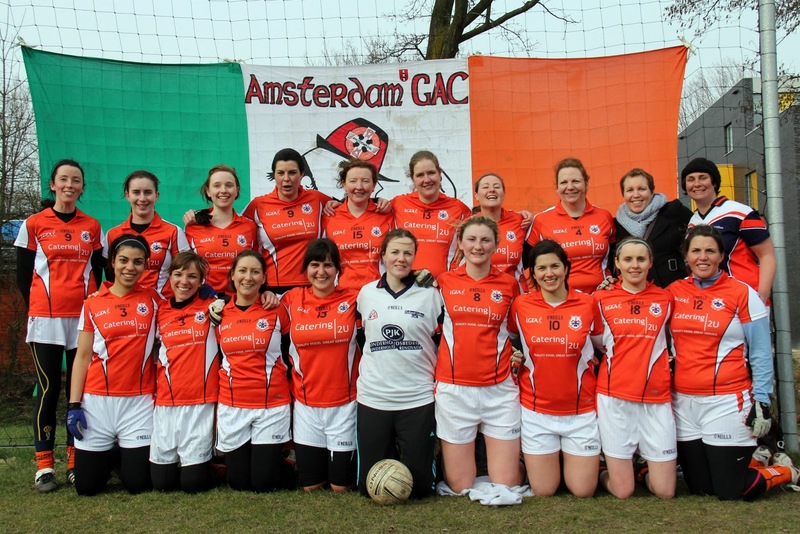 Holland Ladies Gaelic Football team kicked off the football season on Saturday the 16th of March with their first tournament of the year. Having had such a successful season in 2102, losing out to Belgium by only 2 points in the European Championship final, the ladies entered their home venue invitational with high hopes. Unfortunately it was not be on the day and the team was unsuccessful in attaining a coveted place in the final. Holland Ladies started the day against Holloway Gaels. In what was a tight match, the visitors came out on top in a score line of 0-05 to 2-03. Next, the ladies faced a strong Belgium side. Again, the game seemed to be on a knifes edge for most of the first half but the Belgian girls appeared to have an extra kick in their reserves which allowed them to outscore and outplay the Holland ladies in the final few minutes of the game. 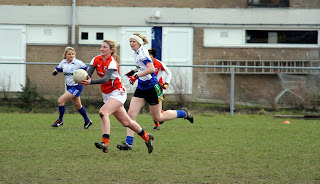 The score ended Holland Ladies 2-05 Belgium Ladies 1-13. After lunch, some of the team members exchanged the football in favour of a hurl and sliotar. The team was composed of mainly beginners but the experienced players, such as Rose, Alana and Deirdre, led by example and the team triumphed over their Belgian rivals. It was a thoroughly enjoyable game and an excellent introduction to competitive games for many of the players. Hopefully the team can build on this success in training and in future tournaments. The final match of the day was played against St. Oisin’s from the UK. The visiting team ran out winners on a score line of 2-4 to 1-11. 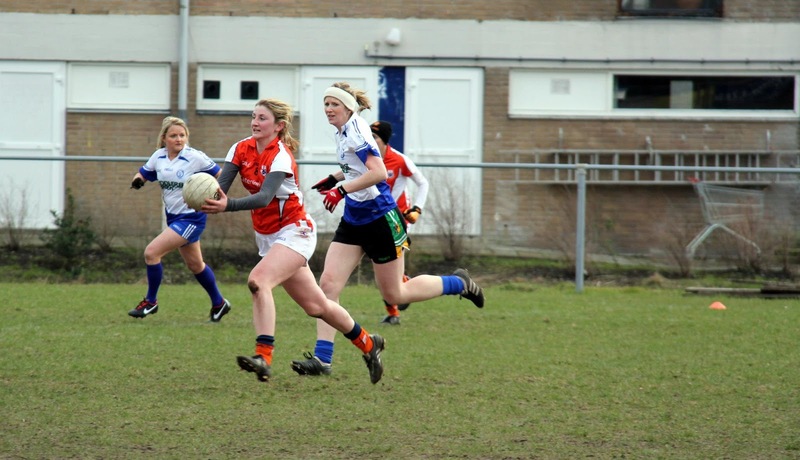 In what was a bitter day both on and off the pitch, these results meant that it was back to the drawing board for the Holland Ladies. We will be training hard the next few weeks in order to be on top form in Den Haag on the 20th of April.